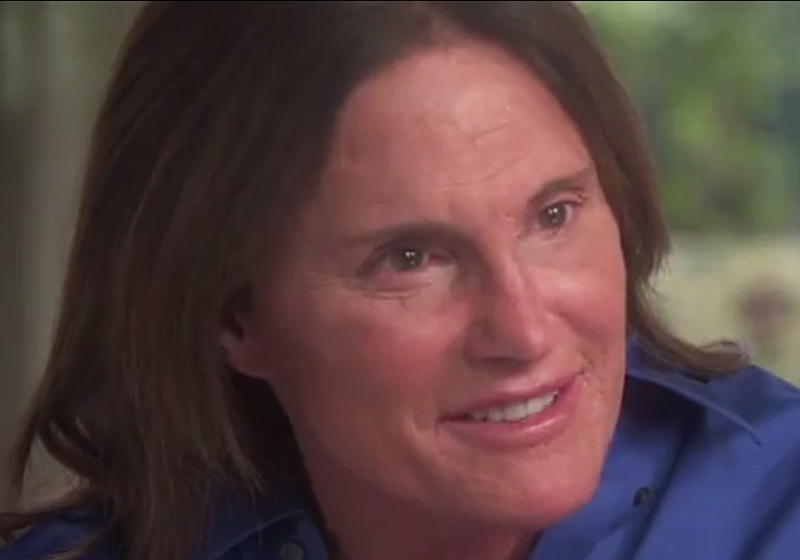 I didn't watch the Bruce Jenner/Diane Sawyer special last night. I don't really need a TV special (or upcoming documentary miniseries) to be told what I already know. I do want to commend Bruce on her bravery for coming out and becoming a role model for a whole group of people who need a role model like her. I was talking to my mom about Bruce a few weeks ago, I think it was after the Diane Sawyer interview was announced, and she just couldn't believe it. Bruce Jenner had always been like a hero to her. In her college dorm and even after she had me, she had pictures and posters of Bruce Jenner hanging up. She has a Bruce Jenner action figure still in its original package. While she didn't seem to grasp the understanding of why Bruce took so long to come out, she did say that Bruce deserves to be happy. And that's true. Everyone deserves to be happy. I'm glad that Bruce feels safe coming out and I hope this encourages transphobic people from my mom's generation and younger to be more accepting of the trans community. So many are cast aside or made to feel like less than who they are. It's reported that a trans person is murdered once every three days. And 41% of trans people have attempted suicide which is nine times the average rate. Those numbers are unacceptable--any unjustifiable death is unacceptable but these statistics are preventable starting with parents. Parents shouldn't be their child's first bully and it seems all too often, that is what happens. I remember when I was in school and the go-to insult was calling someone gay. I did it, my friends did it, everyone did it. Then there came a point where I just stopped. Like a switch in my brain, there came a day when I realized that using 'gay' derogatorily, was mean. I still hear kids say it. In one of my classes, a student constantly make jokes about one of his friends being gay like being gay is the worst thing you could be. I'm sitting across the room going "Seriously? You're an 18-year-old high school senior in the year 2015 and that's your go-to insult?" It's interesting to see all the progress we've made but still be able to see how much we have left to do. Here's hoping we've progressed even a little bit further. I know that there is no halftime in golf but the joke seems clunky. How many people glancing at this strip would raise an eyebrow to Gladys' comment about halftime and wonder what the joke is? Also, aren't most golf tournaments during the day starting at one? That would put halftime in the two, two-thirty area and unless Gladys is using dinner in the "largest meal of the day" sense, two, two-thirty ain't dinner.